Hello, and welcome back to Games Appreciation! Today we will be looking at not just one game, but a series of games created by Nintendo during the 80s, known as the Game & Watch series. Read on after the jump. When you have a brand new entertainment medium, there are no rules and the possibilities for innovation are endless. It’s amazing how many innovative titles there were in the second generation–especially in the early 80s! Following the establishment of Activision, the first third-party developer, we saw a huge influx of new and exciting titles up until the crash of 1983. I wanted to showcase some of the titles that weren’t quite excellent enough to warrant their own appreciation article, but are still worthy of being remembered today. From now on I’ll have a showcase for each year (1983, 1984, and so on) but since this is my first one, I’ll include all of the second generation (1977-1982). There are some questions in life that are just crazy hard to answer. “Can a game be called a maze game if there’s no actual maze?” Universal seemed to think so when they made Mr. Do. Other questions are easier to answer, such as, “Are clowns absolutely terrifying?” That answer is obviously no. And now that Pennywise has filled you with good cheer, let’s look at Mr. Do! It’s time to conclude our snake trilogy with Serpentine, the maze chase game where the hunter is also the hunted. It’s all been building up to this. First, you saw how the maze chase genre was open to interpretation, then you saw how snake-based gameplay could compliment it. And now, it’s time for some serious snake-eat-snake action! Er, snake-eat-other-snake. This isn’t like Nibbler; you eat other snakes, not yourself. On purpose. 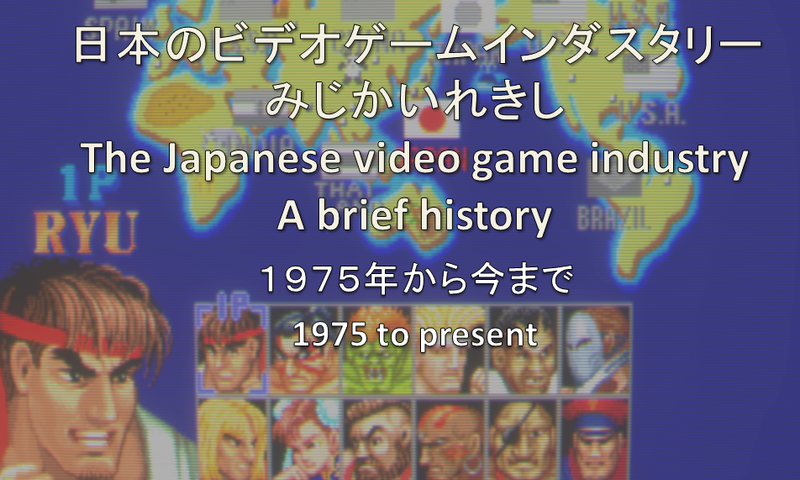 This is my semester project for Japanese 301. The first video is the finished product in Japanese, the second video contains an English dub, and the third is my rough draft, complete with grammar errors. Enjoy!